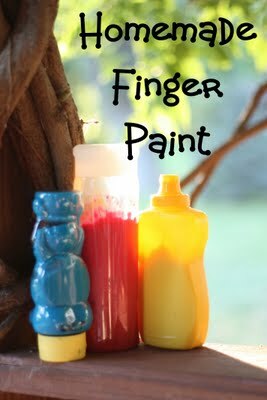 Check out this blog for step-by-step instructions on how to make your own finger paint at home from simple ingredients. We love her idea of storing the paint in squeezable containers! Just remember, if your child has tactile defensiveness, don’t force her hands into the paint. Try a paintbrush, q-tip or cotton ball. Some kids prefer to wear a rubber glove. When your child is ready, try cutting off the tip of the glove on one finger. Slowly work towards cutting the glove further down, or taking the tips off of other parts of the glove. Dive in and join your child in the fun, praising your child for interacting with the paint. 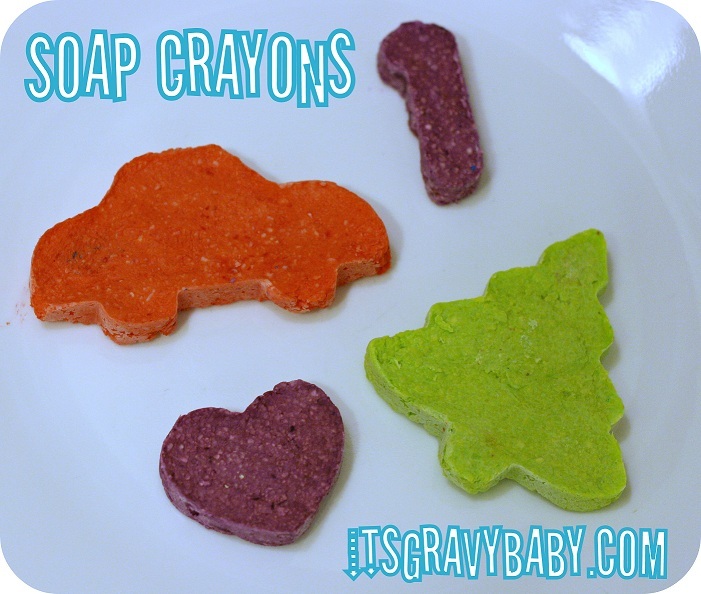 You can make crayons out of soap and food coloring (see recipe below) to create a semi-messy bath time activity. 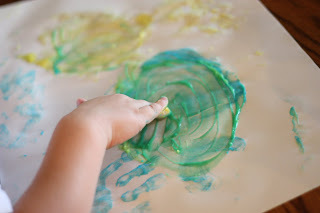 This can be a fun way to introduce messy play to children who become distressed by finger paint or other activities that create a mess. Your child can use these homemade bath crayons to write on the tub and even on himself while bathing, all while getting clean in the process.